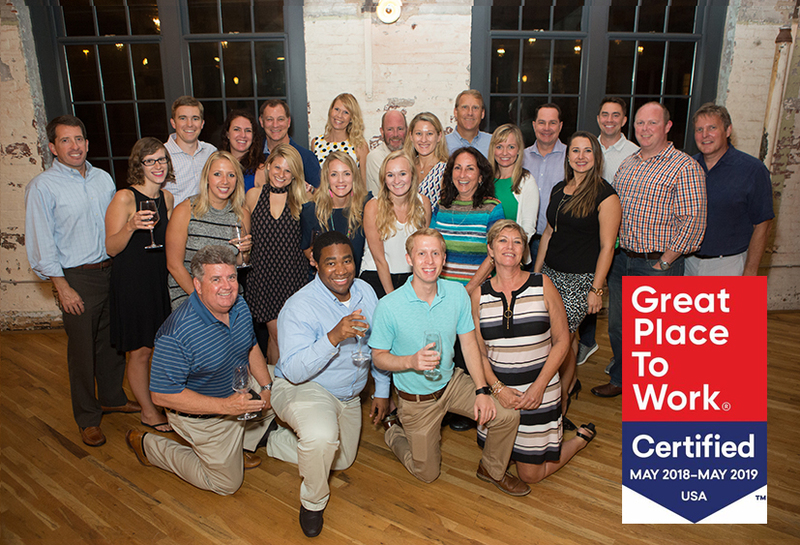 Total Beverage Solution is proud to announce that we’ve been certified as a great workplace by Great Place to Work®. Great Place to Work® works with employees to highlight the outstanding qualities of their own work environments. We scored over 94% in every category rated by our employees, including challenges, atmosphere, communication and leadership—and we’re thrilled to have received a perfect score for workplace pride. Dave Pardus, President and CEO, outlined why we garnered such superlative marks, “TBS is a place where people can grow professionally and personally without having to choose between the two,” adding, “We strive for work / life harmony. This work/life balance is apparent in the programs we offer that allow busy employees to make the most of their time—including flexible schedules, compressed work weeks and telecommunication options. TBS also offers a range of perks that encourage employees to build a family dynamic among themselves, from Halloween costume contests, after-hours socializing on “Wine Down Wednesday,” and even our National Sales Meeting Abroad, where the entire TBS team visits one of our amazing international suppliers and immerse ourselves in the country’s food, culture and customs. But the focus isn’t always just on the employees themselves—other key programs that employees love focus on enriching the community outside the office—each month one employee is selected to oversee the company’s charitable giving to a non-profit of their choice, and in November, employees assemble and deliver Thanksgiving meals to low income families through TBS’ “Basket Brigade” initiative. You can find out more information about the Great Place to Work® results and programs that make Total Beverage Solution a unique and amazing workplace here.